Here’s some news: project management doesn’t need to be a chore! Sure, if you’re stuck in the drudgery of old, worn-out traditional methods, you’re bound to be frustrated; but why stick with something that’s just not working? If you’re looking for a new approach, join us for two days of CSM classes in gorgeous Miami, Florida! Scrum is just the thing to get your projects back into high gear. Scrum is catching on in companies worldwide – and for good reason. From the tech giants like Google and Adobe to international corporations like Hilton and Cisco to small startups, it looks like the Scrum bug is contagious. If you’re not sure what the hype is all about, join us for a couple days of Agile Scrum Master certification in Miami, and you’ll get right up to speed. In fact, by the end of our CSM classes, you’ll be ready to launch your very own Scrum framework in your own workplace! At Winnow Management, we know that talk is cheap. That’s why we put a premium on learning by doing. We’ve gathered some of the very best Scrum Masters in the business, and they’ll be in Miami for a few days to share their expertise with our attendees. We put a heavy focus on practical implementation, and each new concept is backed up with small group discussions, realistic simulations and personal coaching. You’ll get to see the masters at work and get their feedback as you learn. By the end of two days, you’ll be a fully trained, professional Scrum Master, and you’ll be ready to take your CSM exam. You’ll know how to use all the tools of the trade, including Sprint backlogs, burndown charts, product backlogs and more. You’ll even know how to scale Scrum to fit whatever project you might be working on – whether it’s a simple two-person job or a massive, complex scheme. 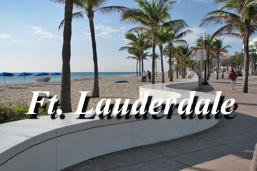 So join the ranks of Florida Scrum Masters at out Agile Scrum Master certification in Miami! Check out our events page for dates and venues, or drop us a line at info@winnowmanagement.com to find out more about our upcoming offers and events.